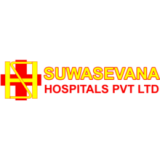 Suwasevana Hospitals (pvt) Ltd Kandy maintains the highest and modern standards of treatment and is a recognized leader in the private health sector. It has three decades of expertise in treating patients in and around Kandy and even beyond. The hospital has a reputation for offering top quality service in crucial areas of healthcare, including Surgery, Obstetrics & Gynaecology, Paediatrics, Orthopaedics, Urology, Neurology, Cardiology Nephrology, Neurosurgery, Respiratory diseases, Endocrinology, Ophthalmology, Gastroenterology, ENT, etc. Suwasevana Hospital has a bed strength of 175 consisting of comfortable air conditioned rooms with attached toilets with TV, comfortable cubicles where necessary. The hospital is fully equipped with all the up-to-date facilities and latest technology for the management of all illnesses with specialized and personalized care. Medical Specialists of every field are available for consultation and treatment.